It was a unique moment, the one when the school Rector, superb jazz pianist, wonderfully played for everybody “Holy Night”. The bright and incredulous eyes of the children were shining and their enthusiasm was uncontrollable when Maestro Bocelli got up from the audience to sing with them their beloved “Amazing Grace”. After the exchange with the older colleagues, the afternoon was dedicated to a new project that will bring our voices of Haiti ever farther in the second half of 2018. Miami has been also an opportunity to kick off a new partnership for ABF. MSC Cruises has decided to contribute to our work in Haiti, in particular to support educational projects and the mobile clinic in the ABF-Saint Luc schools. Each passenger of the new ship Seaside, the largest ship ever built in Italy, will have the opportunity to donate 2 dollars and this contribution will go directly to the Foundation to continue making the difference in Haiti alongside the local partner Saint Luc Foundation in particular to support the mobile clinic project through which are provided medical and pharmacological assistance, vaccines and health education, inside schools, to over eight thousand people a year. 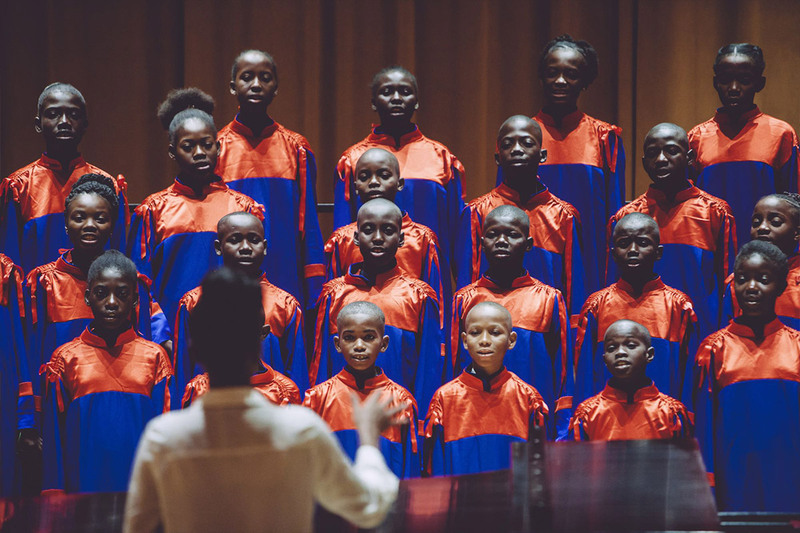 To underline the importance of the two-year partnership, Maestro Bocelli wanted to have next to him Voices of Haiti, who are the most effective ambassadors of their country and of the Foundation’s work. Their smiles, their voices, their enthusiasm are an invitation to support and visit a land that is color, joy, unexpressed potentiality. Many new friends, during their vacation through the Caribbean, will get to know more about Haiti, ABF projects and concretely support the growth of our children and of our communities.